Thank you very much for this wonderful blog. I have a question about the Omnia card, which I have just purchased, if you can help me. I haven’t yet been quite able to figure out how the discounts to attractions work. I assume, at least for the two free attractions, you just pick which two appeal, then join the security line to enter and declare while brandishing your Omnia card that this is one of your two chosen free entries. Is that correct? However, for the other discounted attractions, is it the case that you must still join the ticket purchasing line, and show your Omnia card when you buy in order to receive the discount? In which case, you would be unable to skip the ticket lines for any other than the two free attractions (plus the Vatican). Is that how the discounts work? 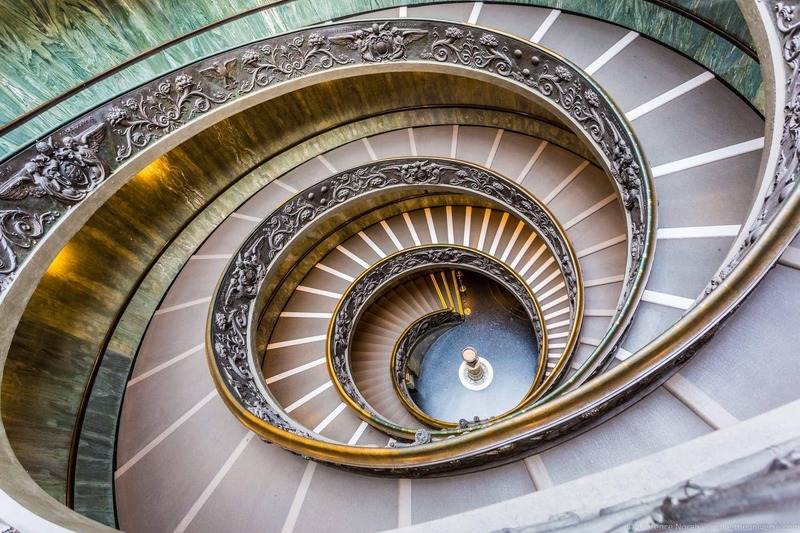 One other small issue – when I follow the link in the email confirmation Omnia sent me to reserve time slots at the Vatican, it appears that I have to reserve separate time slots for all three of: Vatican Museums and Sistine Chapel, St. Peter’s Basilica, and St. Peter’s Prison. Is that the case, and if I did not reserve times for all three, or was slightly late for a particular time slot, would I then be denied entry, or miss out on skip-the-queue? I apologise for the length of this message, but I would be very grateful for any clarity you could provide! So, assuming you bought the Omnia Card that we recommend in this post, it is actually two cards. The Omnia part of it is what gives you access to the Vatican attractions, which include the Vatican Museum, St. Peters Basilica and so on. Those are all included, you don’t have to choose. 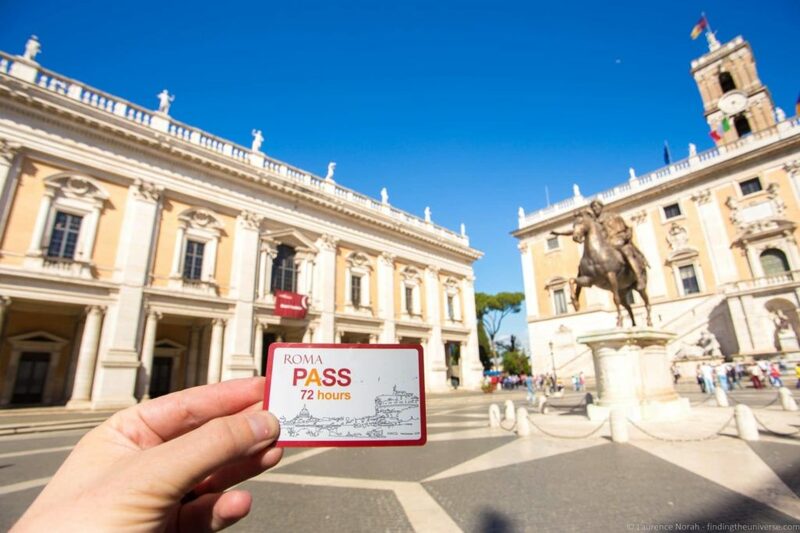 The other part of it is the Roma Pass, which is the one where you get free access to the 2/6 attractions, and then discounted admission. You are correct – the skip the line access only works for the free admission. The main queues in Rome however are for St. Peters Basilica, the Vatican Museum (both of these you get skip the line access with the Omnia part of the card) and the Coliseum. The Coliseum however now operates a timed entry system, as explained in this post. I definitely recommend using the Coliseum for one of your free entries, and reserving your timeslot online using the process I outline in this post. I have been told in the past by the Omnia Pass folks that the only timeslot that really matters is the Vatican Museum. For St. Peters Basilica, the important thing is that you choose the correct day, the actual timeslot is not an issue. I had not previously heard of a separate timeslot for the Sistine Chapel. I don’t see that this could be a thing as it’s actually inside the Vatican Museum, so you just visit it as part of that visit, I don’t believe there’s a separate entry process as far as I know, unless this has changed recently. 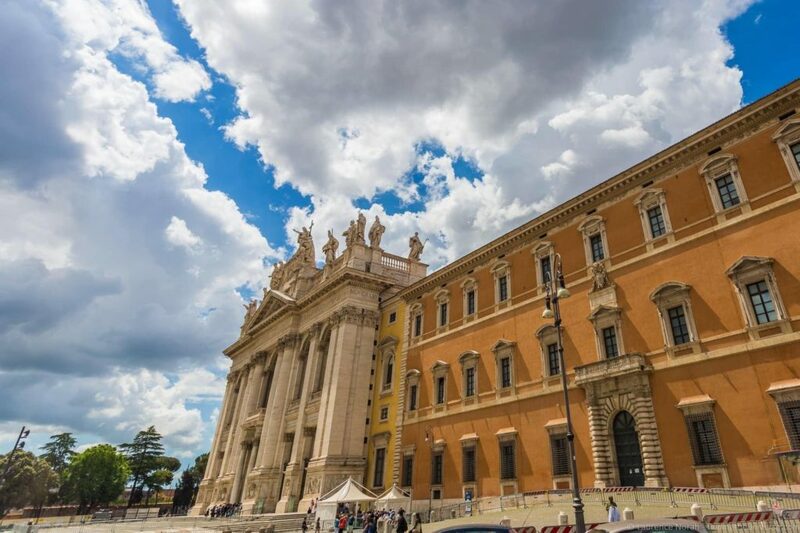 For St. Peters Prison, I have a feeling this will be the same as St. Peters Basilica, as long as pick the right day, the timing shouldn’t be a big issue. It’s not a massive attraction so there shouldn’t be any problem. Personally I would reserve all the times, but only worry about being on time for the Vatican Museum, which is one where you are escorted in by the Omnia Pass people in a special line. Let me know if this all makes sense! My husband and I are planning a full 2 week trip to Italy in September 2019. Mainly because our son is stationed at the military base in Naples. We will be arriving early morning on a WED and will have most of the day WED and all day THU to spend in Rome, then we will take a train FRI morning to visit our son in Naples for a 4 day weekend. He will be showing us around Naples, Pompeii and Amalfi coast/Capri. We were then planning to either catch a train/plane from Naples to Florence then to Venice and then back to Rome early on a MON for another day before heading to airport for very early am flight on TUE. Or maybe taking a flight directly to Venice first then taking the train to florence and back towards Rome. I’ve been researching a lot on how to go about doing this. It seems that the Omnicard would not be the most economical option since our “3-days in Rome” will not be consecutive. Any advise you can give me would be greatly appreciated. You are correct, the 3 day pass wouldn’t work out so well for you. However, I have a solution. 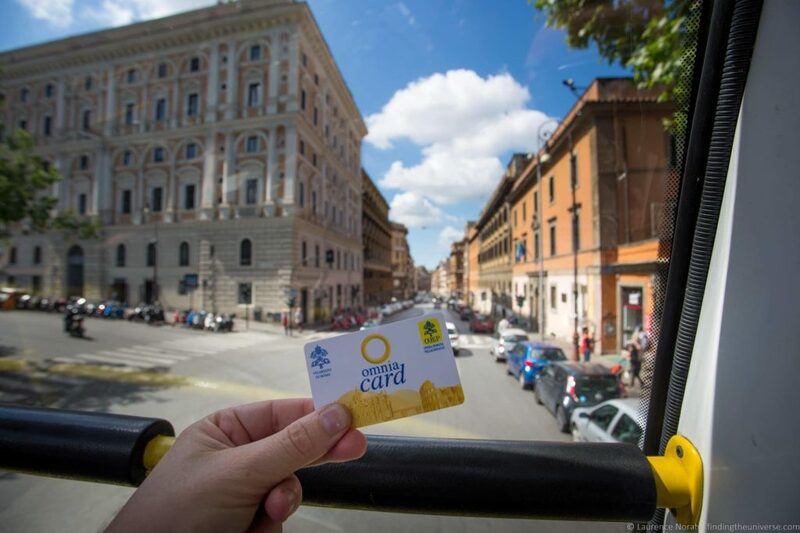 The 3 day Ommnia Rome and Vatican Card actually consists of two cards, an Omnia Card, and a Roma Pass. You can buy these separately, and thus activate them separately. The Omnia card will cover the Vatican attractions, and the Rome Pass will cover things like the Coliseum, Roman Forum and so on. So my suggestion is to buy them individually, and to use the Roma Pass for the WED/THU, then the OMNIA pass for the Monday. I would suggest picking up the Omnia Pass when you arrive though, as you can then book your timeslots for the Vatican Museums. You can buy the 24 hour Omnia Card here, and the 48 hour Roma Pass here. Just be aware that for the Coliseum, even with a Roma Pass, you still need to reserve a timeslot. The process for doing so is explained in the post above (this is new as of March 2019, so many websites are still giving incorrect information that you don’t need to do this). The only thing I would advise is just to make sure the various attractions you plan to visit are open on the days you are visiting. Based on the information you’ve given me it should be fine, but Rome has public holidays and so on, and I wouldn’t want you to buy a pass for a specific day that you then can’t use! Let me know if I can be of any further help, and have a fantastic trip! 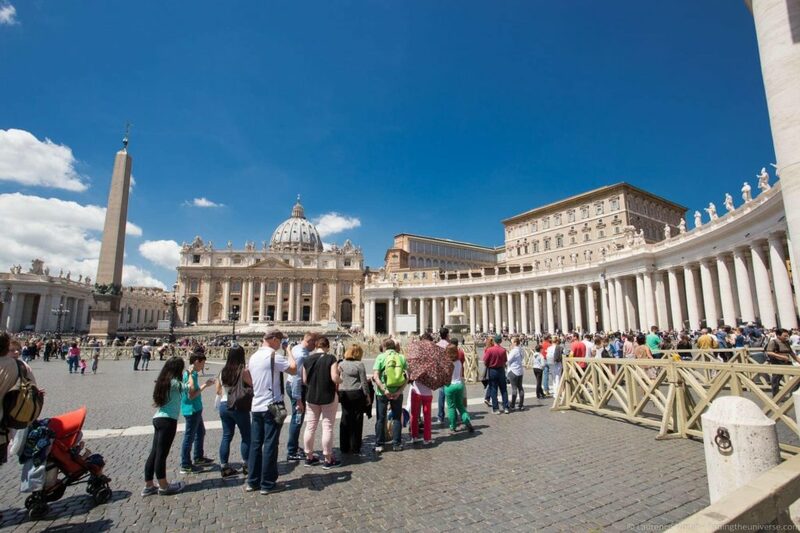 Just to add to this – if you don’t want the hop on hop off bus, you can also buy skip the line tickets for both St. Peters and the Vatican from that website, which might be a little cheaper than the Omnia Card. Thank you so much for the extremely helpful information. I’m in Rome now mostly following your itinerary. My question is about food. I’m not sure If you already mentioned this anywhere n I missed it but what are the best places you would recommend to eat Italian food (restaurants or grap n go pies n stuff)? We are doing Vatican tomorrow (through Omnia with a guide). Any specific place to eat you recommend around there ? To be honest, we haven’t put together a restaurant guide for Rome as yet. We rarely do food guides to be honest, because we like to be thorough, and it takes a lot of time to visit sufficient restaurants to come up with a good enough guide – especially in a city like Rome! We also find that restaurants are not like attractions, they tend to open and close more often, and it can be hard to keep a guide up to date. When we travel, we usually look at resources like Google Maps or Yelp, as well a general blog posts on where to eat in a city from more focused food blogs. We try to make sure the reviews are recent and seem to also be from locals. Usually this works pretty well. Rome is pretty good for restaurants though, we’ve never had a particularly bad meal! But a little research will keep you away from the more touristy traps. Sorry not to be of more specific help! We will be traveling to Rome in May, and will be spending three days. I tried locating your google map itinerary but am having issue finding it. When I click the link to the map, it only opens my Google Map App without opening your itinerary map. Is there a way you could provide me the name or another link to the map? Thank you! 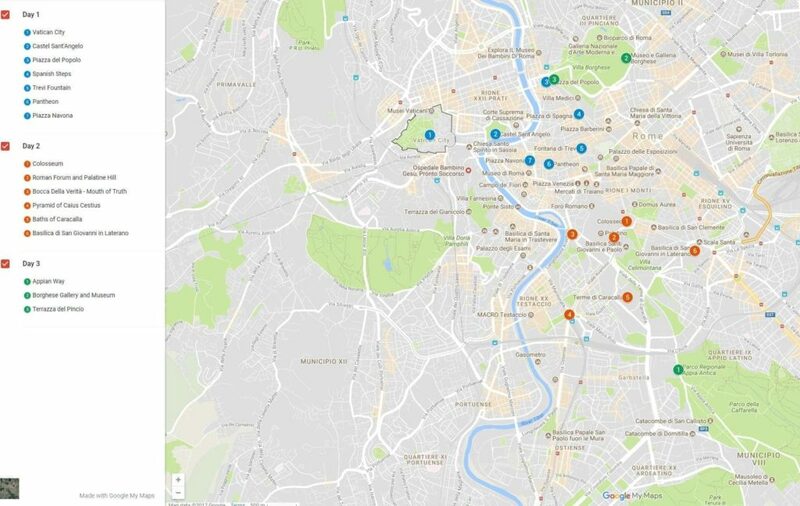 This was by far the most helpful in regards to planning a short visit in Rome – so many other blogs did not give precise direction on how/when to organize the trip! Can you let me know if that works for you? Google is a bit tricky when it comes to these things sometimes. If that doesn’t work, I would suggest trying on a desktop browser or in an incognito tab perhaps. Thank you so much! That link worked for me! I appreciate it! We will be arriving in Rome on June 20, 2019 and departing on June 24 out of Venice to France . Could you advise us on how to get around and see Rome, Florence, and Venice in 4 days? Is this even possible? love your website!!!! So this is of course theoretically possible, but it will be quite rushed. I would probably try and focus on seeing two cities more fully, but I understand if you want to fit it all in. I’m not sure what time you are arriving or leaving and if you have much time on the 24th or 20th. So this sort of assumes you don’t have much time on those days. My advice be to spend a day in Rome, following our itinerary for a day in Rome. Then, take the train to Florence (book train tickets in advance on trenitalia to save money). Either go in the evening after exploring Rome, or early in the morning. Then explore Florence for a day, overnight in Florence, and then head to Venice on the train. Thank you. This is immensely helpful. I can tell it took a lot of thought and time and I truly appreciate it! My pleasure Luis – have a great trip! 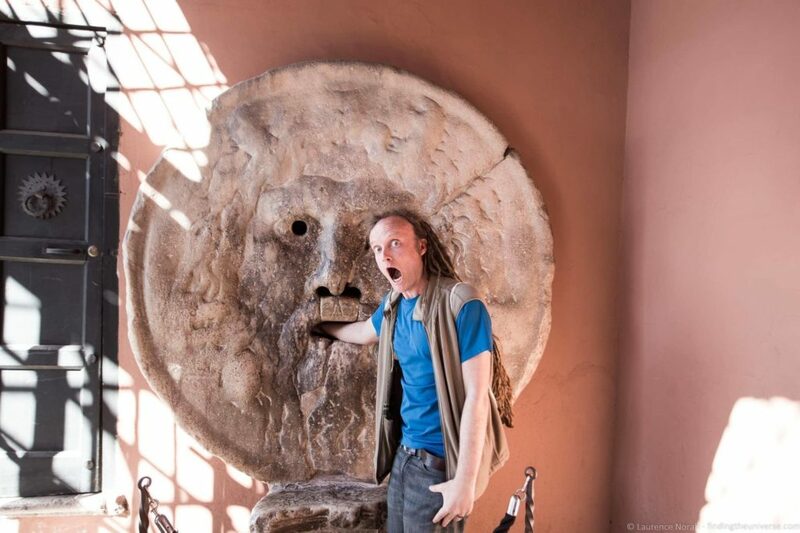 I love your website and how you are so helpful to those of us who have no idea what to expect when we arrive in Rome. Your 3 day itinerary is awesome. We plan to see at least the first two days of attractions. This is the best sight I’ve seen and the fact that you answer directly to us is amazing. Thank you in advance for your help. I’m worried I may have done something wrong. 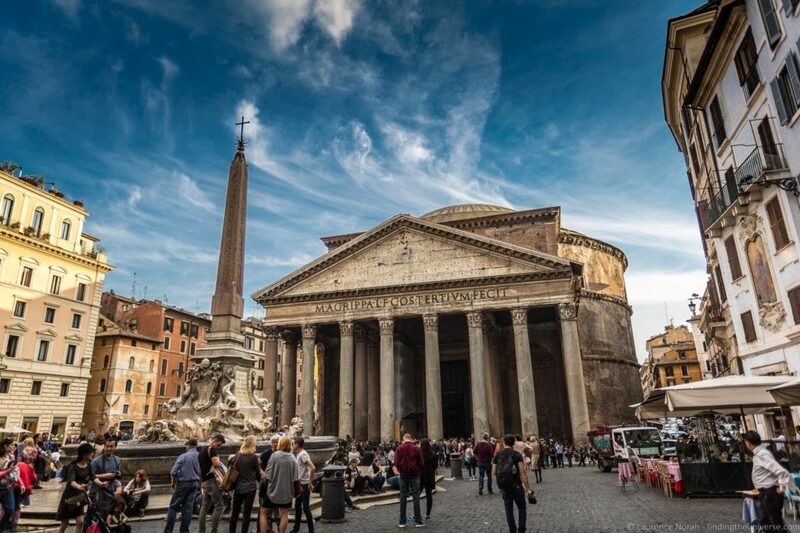 We arrive in Rome on March 31st…we arrive early that morning so I thought we might want to see a few of the lesser sites or do the hop on hop off tour just to get familiar with the city that afternoon when we arrive. We plan to start our Vatican and Colosseum sightseeing early Monday morning April 1st. I purchased the Omnia Vatican and Rome Card a couple of days ago. I picked the date of March 31, My thinking is that it will give us 3 days…March 31 – April 2. We leave early on April 3rd. Am I correct in my thinking that this pass will give us those 3 days of sightseeing and general transportation? My second concern is I can’t find anywhere that allows me to pick time slots. We want to start at the Vatican as early as possible on Monday April 1. Can you help me figure out how to choose my time slots? The Omnia Vatican and Rome Card is expensive and I can’t find a way to pick a time slot? Many thanks for your message. So the pass will activate on first use, the date you specified isn’t too important. If you start using it on the 31st it will work on the 31st,1st and 2nd. For your second point I have been in contact with the folks who issue the pass about your issue. I have been told that you should have received an email with a link to book your times. However, you are the second person to contact me about this recently so I am wondering if something has changed. If you could forward me the email they sent you on purchase and any other confirmation to my email, laurence@findingtheuniverse.com, I’ll investigate further! I have forwarded the email to you. I really appreciate your help. Great Alana – happy to be of help 🙂 Have a great trip! Thank you so much for this easy to follow and very detailed guide. I have one question though…. 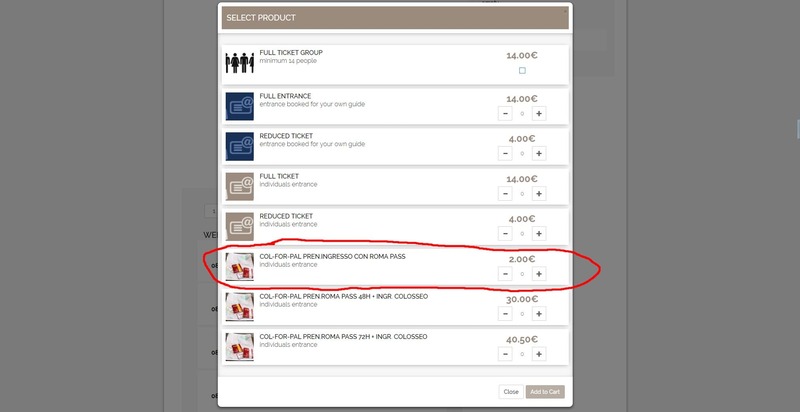 About the ticketbar purchase ~where can we redeem the cards and stuff for example from the airport in Rome? 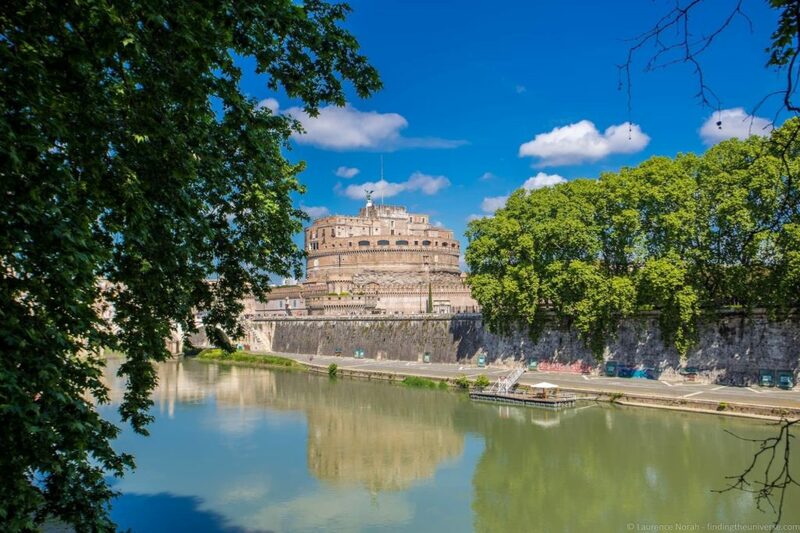 PIT Castel S. Angelo, Piazza Pia (next to the gardens of Castel Sant’Angelo), 8.30am – 18.00pm till 24/03, 9.30am – 7.00pm till 27/10. PIT Ciampino, Aeroporto G.B.Pastine – External area International Arrivals. 8.30am – 6.00pm. PIT Cinque Lune, Piazza delle Cinque Lune (Piazza Navona). 9.30am – 7.00pm. PIT Fiumicino, Aeroporto Leonardo Da Vinci – International Arrivals – Terminal T3. 8.00am – 8.45pm. PIT Fori Imperiali, Visitor Center Via dei Fori Imperiali. 01 January-30 June and 01 September-31 December: 9.30am – 7.00pm – 01 July-31 August: 9.30am – 8.00 pm. PIT Minghetti, Via Marco Minghetti (corner to Via del Corso). 9.30am – 7.00pm. PIT Sonnino, Piazza Sidney Sonnino (Trastevere). 10.30am – 8.00pm. PIT Termini, Stazione Termini – Via Giovanni Giolitti, 34, platform 24. 8.00am – 6.45pm. Hi Laurence. Hope you can answer a couple of queries for me. 1. Our flight lands at about 9pm and we were planning on getting the train/bus from the airport to termini. Just a bit concerned of what is the best option to get from termini to our hotel. Can we get a taxi outside the station and roughly how much would it cost? Our hotel is close to the Coliseum. the hotel does a shuttle from the airport but it is very expensive. 2. we have booked the Vatican museum etc with our omnia card. Did I see somewhere that we now have to book the coliseum as well in advance? Ps loving the blog – planning on using the itinerary when we visit in 3 weeks! So, from Termini to the Coliseum is only about half a mile, which is even walkable! However, there are also public buses you could take. I couldn’t tell you how much a taxi would cost, but it would not be very much for such a short distance. individuals entrance” at a price of €2. That is the one you want to buy. I hope this helps! I’ll update our Rome content to reflect this as it’s all new for 2019. Thanks for the quick response. I was initially happy to walk from Termini but as it is going to be about 10pm I was just concerned about safety for two mature ladies visiting. I think a taxi might be best. I have found your site to be very helpful when planning my visit to Rome. I will be traveling with a small dog and traveling in November so I hope the crowds will be less. I realize that dogs will not be allowed in the interior of most places, but I assume I will be able to walk on the outside of many of the sites you mentioned. Also, do you find Rome to be dog friendly? 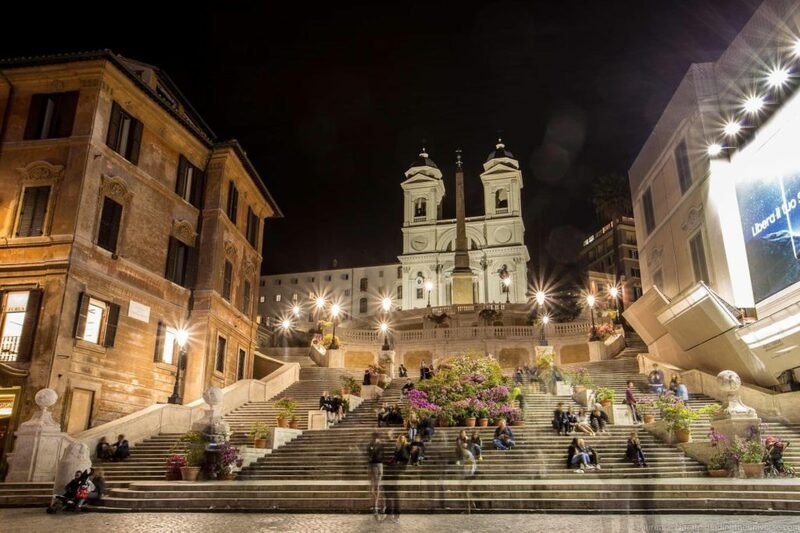 I would also like to take a cooking class while in Rome….do you recommend any? So we haven’t travelled with a dog in Rome, so our advice is not from personal experience. However, you shouldn’t have any trouble on the outside of the attractions certainly. I’m not sure which attractions would allow dogs, if any, but I think overall Rome is dog friendly. However, again I must stress this is not based on first hand experience. 1. Since we land in Rome at 9am, we plan to start our sight seeing at 1PM after we check-in and take some rest. Given just half day, which of day of your 3 day itinerary do you suggest to do on our first day given we have only 0.5 day. 2. I plan to take guided tours to both Vatican Museums and Colloseum. Will you suggest I still take Roma Pass ? 3. Any suggestions on good authentic Italian food in Rome ? 4. We plan to take train to Naples on Day 4 for a trip to Pompeii. Any suggestions on Naples and Pompeii ? 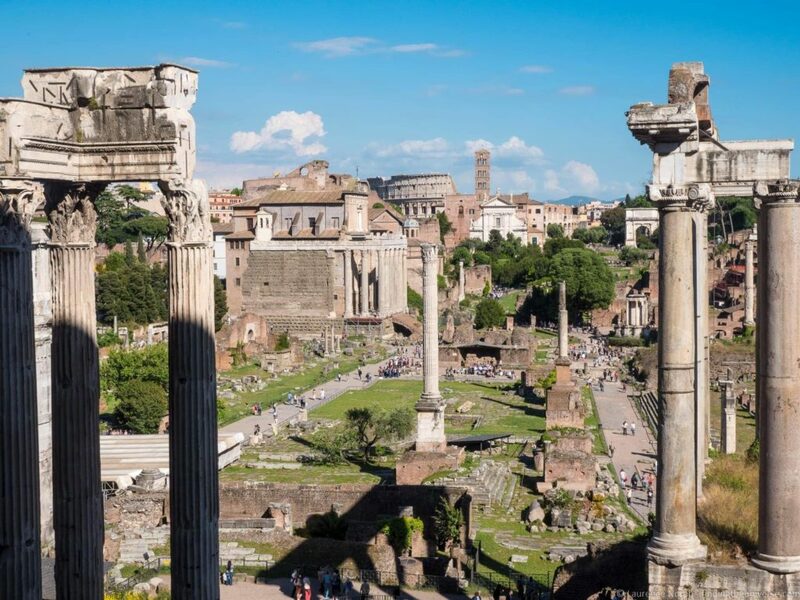 1 – take the Rome in a Day tour from Take Walks, which includes both the Vatican and Coliseum, as well as the majority of sights in the city centre. For your half day, you could see what’s left on Day 2, then on your other full day you could do day 3. 2 – no, I don’t think you will get too many benefits of the Roma Pass, unless you want the transport. 3 – to be honest, we rarely recommend restaurants as they change so often, and the quality can vary. We recommend using Google maps or something similar, and looking for recent good reviews. 4 – this isn’t an area we’ve explored recently, so we don’t have any tips currently – sorry! Pantheon, Spanish Steps, Trevi Fountain. Context Travel has these split up. I am looking for a complete combo tour. We plan to visit Rome The 1st or 2nd week of MAY. Have you taken a look at the tours available on the Take Walks site? They have a number of options. Or did you want a private tour? 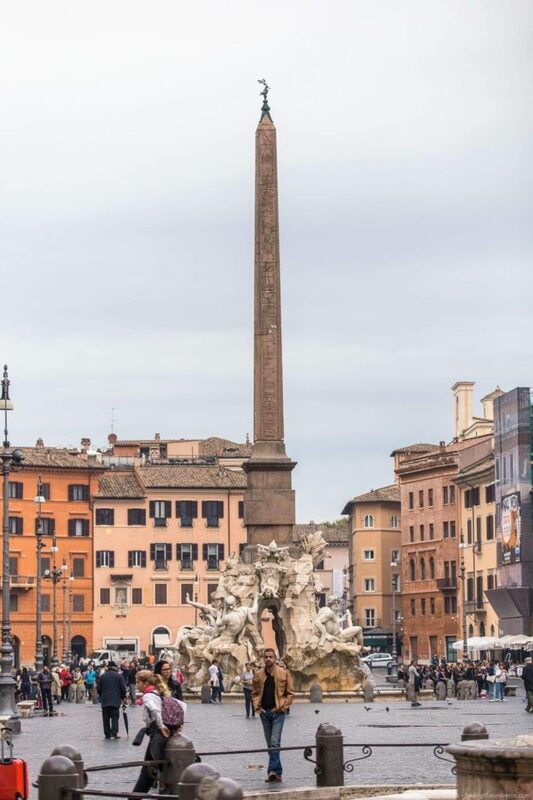 I love your post about 3 days in Rome. I just purchased the Omnia Rome travel pass. I ordered the passes to be sent to me because I thought it would be one less thing I had to deal with when I arrived. They sent an email saying I can’t prebook my entry times until I have my tickets. I know you stated in your post that once you order the pss you can book your reservations. Do you know if something changed or did I book it wrong? Thank you. I’ll be in touch when I hear back! Thank you so much! I appreciate your help with my questions! We are a group of 6 seniors travelling to Rome arriving Oct 14 and our cruise sets sail on Oct 20. Your 3-day Rome itinerary and 2-day in Florence is very helpful. Need recommendation on accommodation for 6….will you suggest VRBO and/or AirBnB. Thank you. I would certainly suggest for a larger party that an apartment is great option. We have a list of a range of apartment booking websites we suggest you look at, which you can see here. Let me know if you have any more questions and I’ll try to help out! thank you for this wonderful insight of Rome. i am arriving in Rome Feb of this year Sunday noon and leaving Thursday morning to explore the City. i honestly love the itinerary that you wrote but my “bad left knee” can’t endure the walks as stated. my top priorities to visit are as follows. (and maybe hear Mass and see a glimpse of our beloved Pope). Piazza del Popolo, Spanish steps, Trevi fountain (wishing to visit again), Mouth of Truth (for the child/curiosity/fun @heart) and of course, The Colosseum & Roman Forum. please help me out on how to achieve this in 3 1/2 days. For the Wednesday mass, please be advised you have to get tickets in advance from the website I link to. Tickets are free, but are required for entry. You will also need to be there in person at least a couple of hours early in order to see mass. So this will take up most of the morning and some of the afternoon. 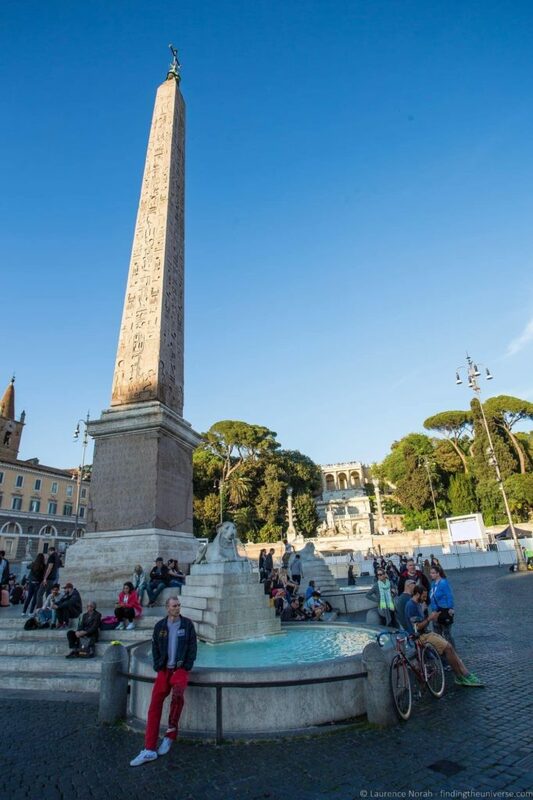 My advice for the rest of that day would be to visit the outside attractions, like Piazza del Popolo, the Spanish Steps and the Trevi fountain. From the vatican you can take a bus to the centre of the city. Alternatively, you could visit St. Peter’s on this afternoon as you are already there. I don’t think you’ll have time to see the Vatican as well. So this would give you the Monday to see The Colosseum & Roman Forum. This would also be a good day to see the mouth of truth. You could then dedicate the Tuesday to the Vatican Museum and Sistine Chapel. This will definitely be a short but wonderful stay in Rome. My pleasure Sirod, do let me know if you have any more questions! love your blog. Excited to go to Rome in a few days, however, there is one thing that we dont understand with the Omnia Card. Are you supposed to prebooked online all the attractions with the Omnia card or just show up ? If you are picking the card up in person, you’ll make the bookings at the time you pick it up I think. The only things you need to book the timeslots for are the Vatican Museum and St. Peter’s Basilica. 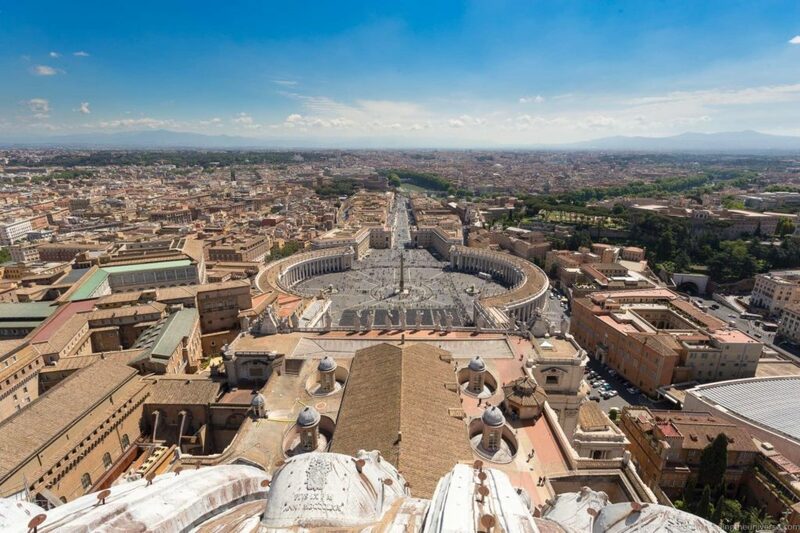 However, for St. Peter’s, it’s an open ticket for the whole day – as long as you have a booking confirmation for the right day, the time doesn’t matter. Thanks Laurence, for taking the time to answer my question. This is very heelpful. 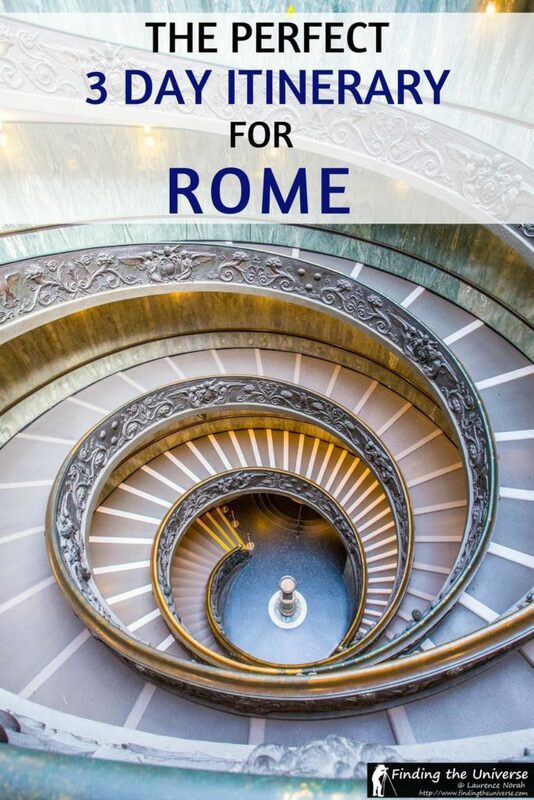 I’m relieved to find the perfect Rome travel guide for me! It tends to be overwhelming during this planning phase as there’s a wide range of attractions to visit. But glad to havr come across your page. My husband and I are booked for June 3-11, 2019. We have not booked any accommodation yet but we’re looking more into a bed & breakfast kind of place. We’re inclined to tour around Italy for our 8 nights. We’re thinking of Rome, Milan, Venice and Florence. Do you think doing this would be too tight given our travel period? We’re slow paced travelers and would want to have ample time to appreciate the surroundings. We also love when we don’t need to rush from one point to the next. Also, can you comment about taking taxis, uber, or private hired cars as mode of transportation? What’s our best option if we want to travel (day trip) to Milan or Venice or Florence or all? Thanks very much 😀 So I would say that 8 days is definitely enough to see three cities. Four would be possible, but if you don’t want to feel rushed then you might want to drop one. My suggestion would be to go Rome -> Florence – Venice, and to take the fast train between them which will be the most cost effective and fastest way to travel. Tickets can be booked online in advance from the TrenItalia website, which has an English language version. For transportation in the cities, much of the three cities I mention are entirely walkable, but Uber is available and likely going to be your best option. I’d also recommend the bus or other public transport options. Venice doesn’t have any vehicles, only water taxis. Have a great trip – and do let me know if you have any more questions! Laurence, what a great blog you guys have produced, well done! Great insight and hints!! My wife and I are going to Rome either over Easter (yea) or in July (UGGGH HOT) If we buy the individual tickets from the sites themselves do we get to skip the lines too? And if we buy them online before we fly over can we print the tickets at home and bring them with us or do they have to be mailed/shipped to us ? Personally I’d go for Easter if I was you – July will not only be hot, but also very busy. 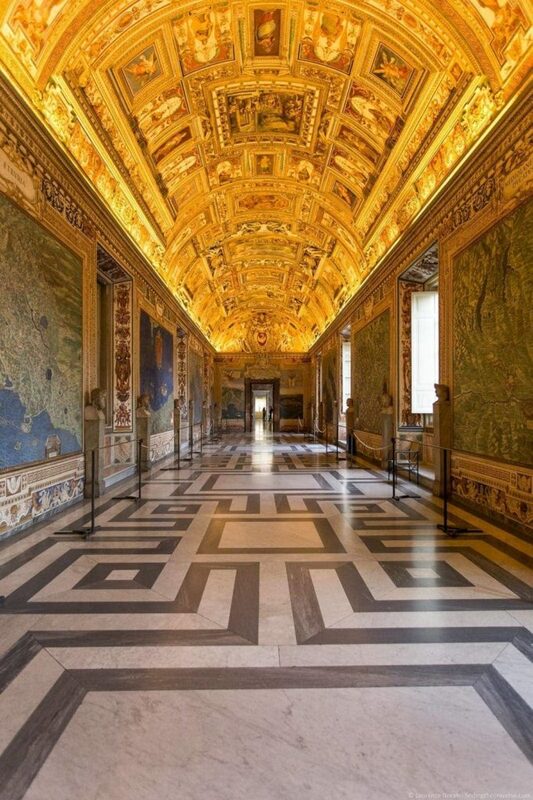 For the Vatican, yes, if you book it on the official Vatican Museum website this comes with skip the line access. Note whatever ticket you buy there is still a security line. For St. Peter’s Basilica, there isn’t an entry ticket, so there is no official website to buy a ticket from. However, there is usually a long line for security here, and if you buy from one of the “skip the line” third party services, you get access to a shorter security line which can save you a lot of time on a busy day. Obviously the value of this is up to you! We recommend this one, but there are a few. For the Coliseum, you can also buy skip the line tickets from the official website here. Personally I find this website a bit confusing 😉 There are a variety of ticket options, but as of 2018 they operate a timed entry system, so you have to pick a time slot. Until the end of 2018 they had something called an “open” ticket, which let you go in any time after 2pm, but that appears to have been discontinued, so you need to select a time. For the tickets, I believe they are all of the print at home variety, however we nearly always use one of the various passes we mention as we just find them easier, so I do not have first hand knowledge to confirm that. Have a fantastic trip, and if you do decide to go for the online tickets, do let us know how it goes and if they can be printed at home so I know for future! Thanks for the reply, and again great information!! Hope we can make it around Easter for sure. If we buy the tickets on line I’ll be sure to let you know if we’re able to print them at home. LOVE this site and your plans. I will be there in March and can’t wait! I made my reservations for the Vatican Museums and the Basillica as suggested with my Omnia card. Do I need to print out the reservation or is it now linked to my Omnia card? I am also planning on taking a train ride to Venice for a day. Any suggestions on a half day trip there? Thanks very much Lisa! I’m not 100% certain if you need to print out the confirmation. It should be linked with your card, but you might want to print it out just in case (we usually print things out just in case!). Have an awesome trip, and do pop back to let us know how it all went! A very good guide and help. I just bought my Omnia Vatican and Rome pass for my trip at the end of November. It is being mailed to me. Do you know if I need to wait until the pass arrives so book my Sistine Chapel tickets? Or is there a portal I can go through to book them before actually having the pass? I wasn’t prompted to book the tickets during my Pass Purchasing process. So the last time I asked the Rome and Vatican Pass people about this, I was told that you should be sent a link by e-mail when you place your order. You might want to check your spam folder to be sure. If you haven’t received a link, please let me know, and I will check in with them in case the process has changed, and get back to you. And the code that is printed on the card, however I appreciate you might want to get things arranged already, so just let me know if you’ve got any links sent by e-mail or not. Also, just to be aware, for the Sistine Chapel it’s the Vatican Museum entry you need to book. 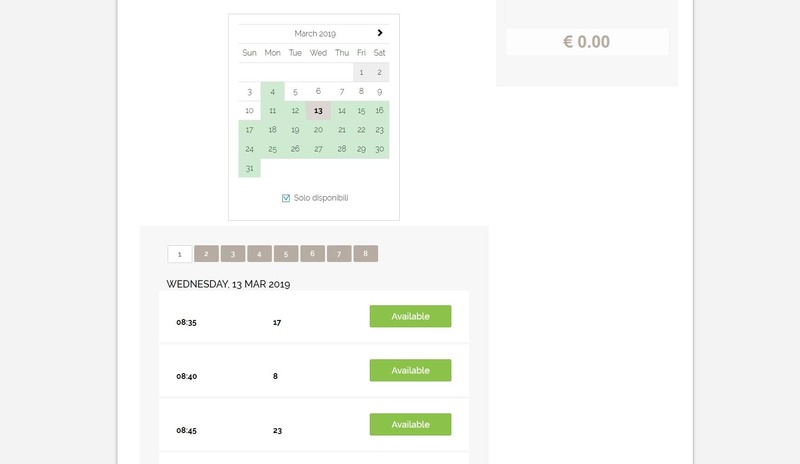 You also need to book a timeslot for St. Peter’s, but it’s an open ticket for the whole day – as long as you have a booking confirmation for the right day, the time doesn’t matter. 1. 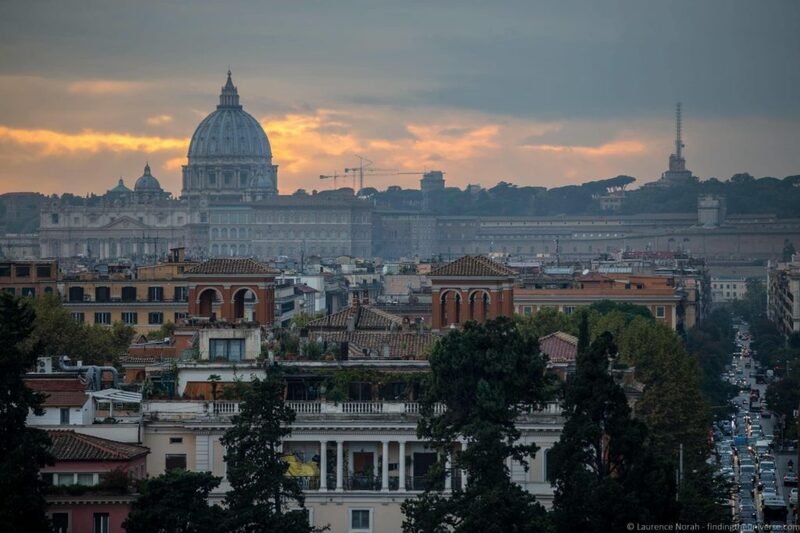 I will be visiting Rome from October 25th to 28th, 2018 and plan to visit the Vatican City on Friday, October 26th. My question, would they still be huge queues to visit the Vatican Muesuem and the Sistine Chapel. 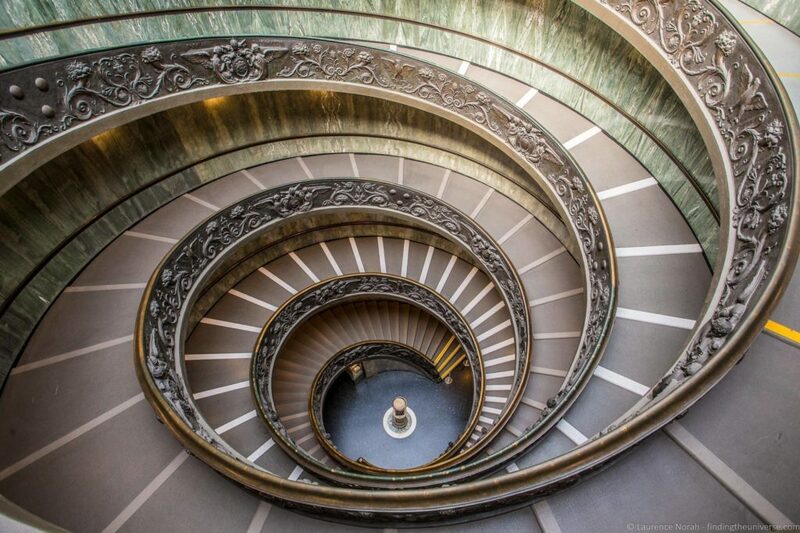 Do you recommend to buy any of the above passes or just buy a ticket from the official website of the Vatican museum. 2. 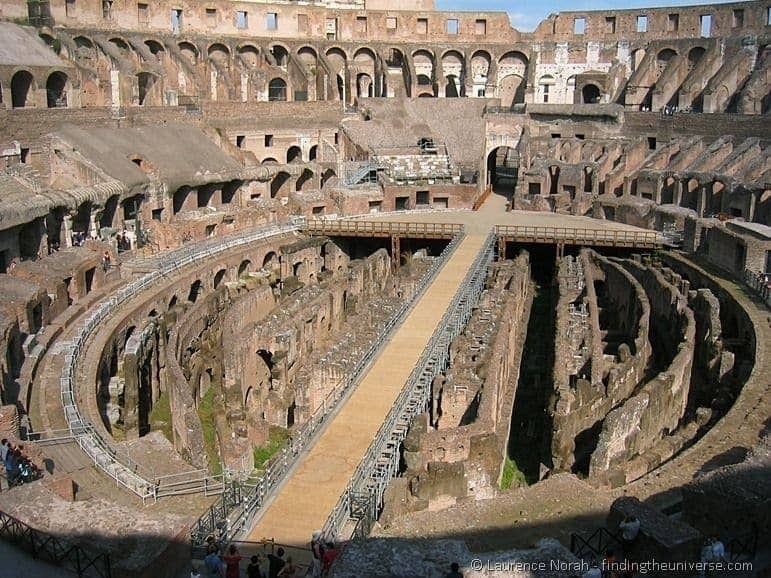 In general, will the lines be too huge during my time of visit at other attractions like the Coliseum, Roman Forum and Palatine Hill? Just buying the ticket on the same day be recommended or should we buy any of the above mentioned passes? So, it’s hard to predict exactly what the queues will be like for any given day, but October should certainly be less busy than say August. So you should be ok for the Vatican and the other sites. 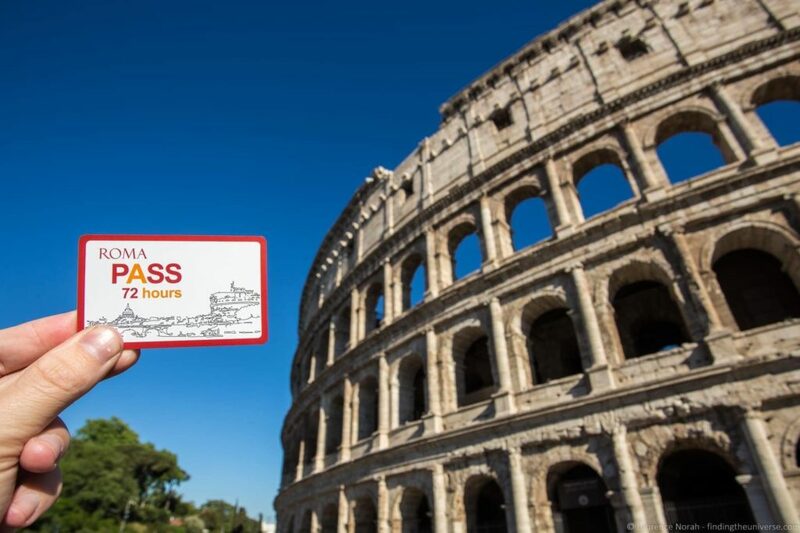 However, if you are planning on attending a few of the sites you mention, then the Roma Pass will definitely be helpful, as it will let you skip the lines, save a bit of money and also get free transport in the city. I came across this post while looking at itineraries for Rome. We will be in Rome for 4 days from February 18-22, 2019! First question is, what would the weather be like/what clothes to wear/pack because it’s a struggle every time we pack too much winter or pack too little winter stuff haha. Second, we are going to be getting the Omnia and Roma Pass to utilize the service of skipping lines, when we get the 72 hour pass, does that start from the moment we get it? Because we’re trying to use 1 of the 4 days to do a Pompeii/Amalfi Coast tour so I don’t want the other day of the 72 hour to go to waste. Any suggestions for me? Third, I already mentioned we are doing a day tour to Pompeii and Amalfi Coast, have you guys been there in the winter? Do you have any recommendations on what our 4 day intinerary can be with that day tour to Pompeii and Amalfi coast??? Last, we also want to take a cooking class specifically pasta making, do you have any recommendations on which company/class to take?? 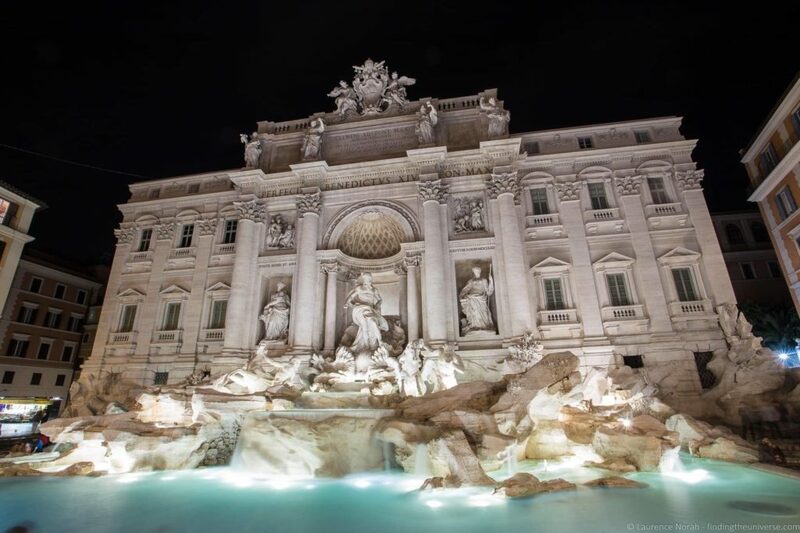 We will be staying at a hotel 5 mins walk from the Trevi Fountain so if there’s anything in that area that you recommend for us to go to eat and shop, I would love to know! Or any restaurants really! First, sounds like we need to write a four day itinerary! For February, it will be a bit cooler so you should definitely plan on packing some layers. It won’t be freezing, but it won’t be much above 10 – 15C I would say, and if you get rain or wind it might feel cooler. For the passes, they activate from the first use, so you are fine on that front. We have not visited Pompeii or the Amalfi Coast in winter, we’d say Pompeii would probably be better. I hope this helps! Let me know if you have any more questions and we’ll try to help! Certainly there will be less daylight in December compared to the summer, but it shouldn’t impact your ability to do sight-seeing as most of the outdoor attractions are well lit at night. 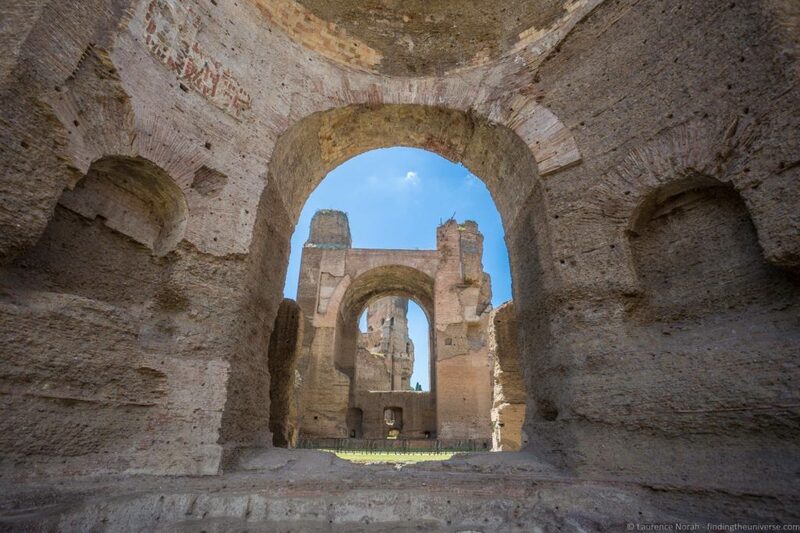 For visiting outside of Rome, I’d say with three days you are better staying in the city – there are lots of sights to see, and many of them are 2000+ years old, so there’s no shortage of old things to see! Thanks so much for the detailed itinerary. 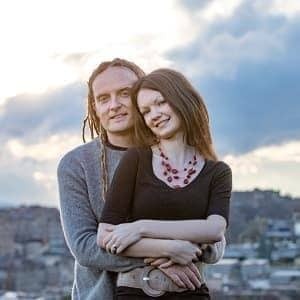 My wife and I are looking to be in Rome around Christmas. As it stands we Re planning to be in Rome on 23rd Dec and leave for Florence 27th Dec. We have 3 full days and I am sure your itinerary gives us the best chance to see Rome the best way but what implications will Christmas period have on the itinerary? Can you please suggest. Certainly the Christmas period is likely to affect opening times, especially on Christmas Day (25th). My suggestion would be to check the official websites for each attraction you want to visit to see when they are open or not, and adjust the itinerary to suit 🙂 Have a great trip! I really like your itinerary and all the inside info. Thank you for that. I have a few questions. 1. can I just book the Omnia card in Rome, when we get there? I’ll have a couple of hours at the Airport waiting for my family to arrive, so I thought it might be a good time to pop to Tourist information and buy them for us. 2. I have seen another itinerary recommending Vatican gardens. Are they worth visiting? 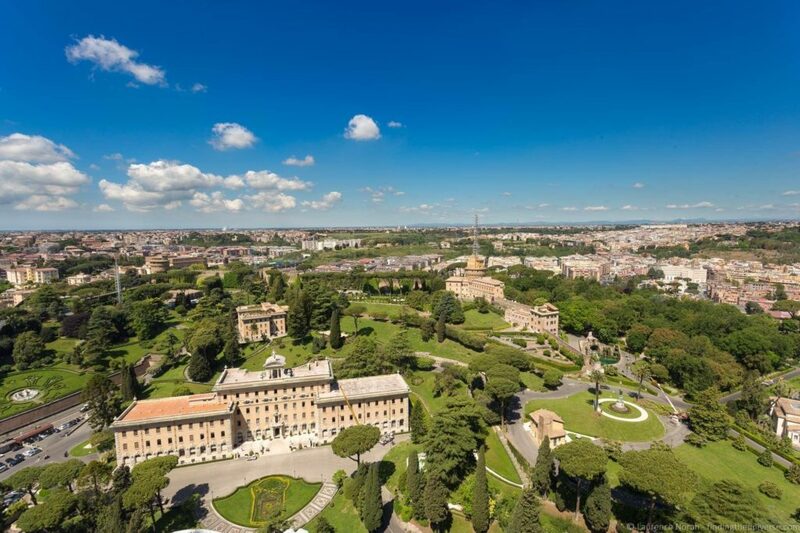 2 – It’s hard to know – some people will love the Vatican gardens, others may not find them as interesting 😉 You can only visit them as a guided tour, which takes around 1.5 – 2 hours. 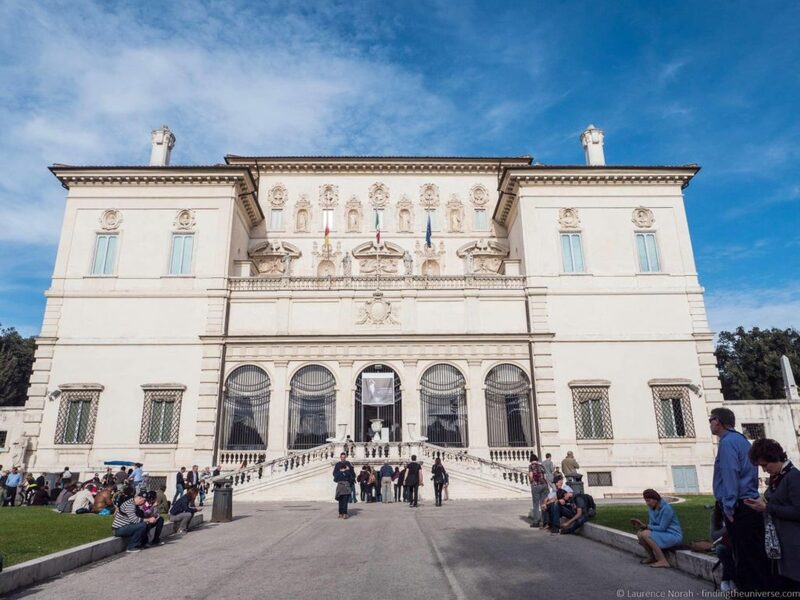 The ticket for the tour includes the Vatican Museum entry as well. So it will take a bit of time, so if you decide to do this, then you might need to adjust your day accordingly 🙂 They aren’t included on any of the passes, so you would have to book this separately! Hey! My sisters and i are going on our first trip together to Rome, and basically planning everything off of your amazing itinerary! 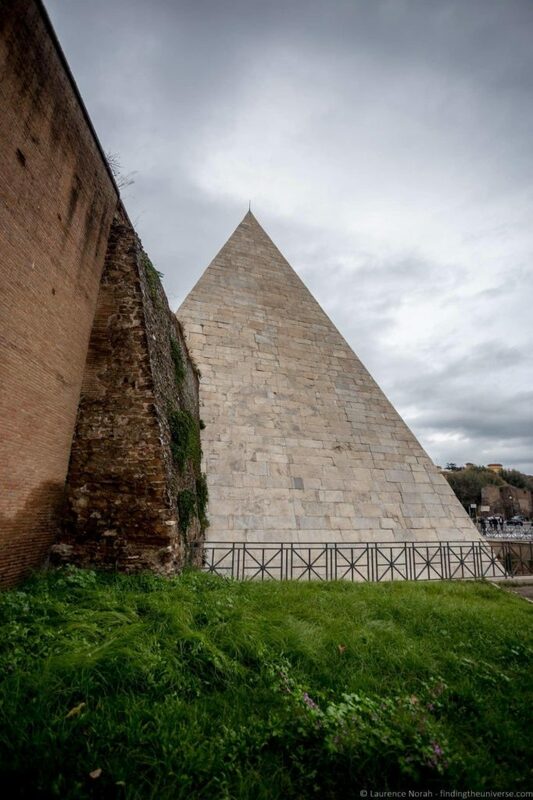 another question i had is about Pyramid of Caius Cestius. is this only open on saturday and sunday? It is definitely possible (and you can see other commenters agree :)) to do it in one day, but I agree, it is a full day. However, if you start at 7am, you should be fine! 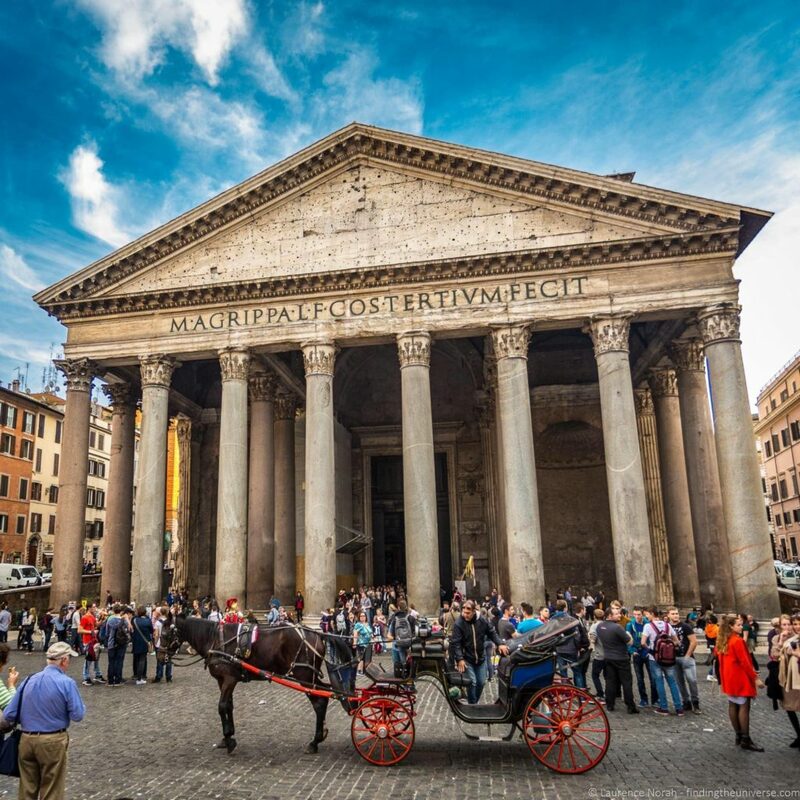 Many of the attractions have no closing time, and you can just move the Pantheon forward a little bit in the itinerary if you are worried about it, as it’s right next to the Spanish Steps and Trevi Fountain. For the Pyramid, we think it’s enough just to see it from the outside rather than go in, but it’s up to you 🙂 It does appear only to open on weekend mornings. I am planning a 3 day trip to Rome in December, and really like the 3-day itinerary that you have outlined. How does the Hop on Hop Off Bus ticket fit into the itinerary? 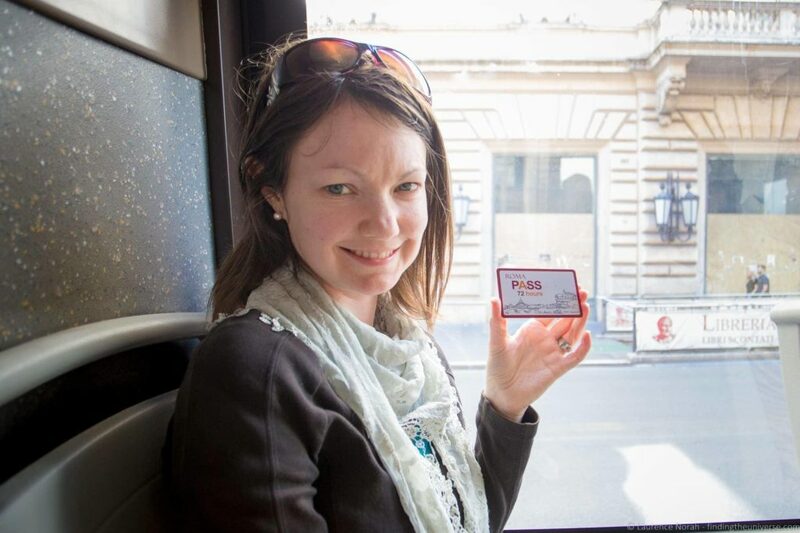 The HOHO bus will take you around the major sights if you want to use it, it might be a good option on the first day to get from the Vatican area close to the major sights in Rome, or on the second day from the Coliseum. Or you could just use it on the third day to tour Rome, and then do the Appian Way. It’s up to you!